This game has a different concept and gameplay style. There’s a King who ask you to catch some Pokémon for him. You can use your favorite Mii character to play. To get to different worlds, you need to buy some balloons at the store. On that store you can buy among other things clothes for your Mii and power-ups using points or gems. Those gems can be obtained by finishing special missions for the King, when you receive five players via online and by buying them at the Nintendo e-shop. And that reminded me of the games you buy for your tablets, etc. You can receive visitors via online. They can give you jewels and missions. Since you can call different people everyday, you’ll not be bored. Pokémon.com is being very generous by giving away passwords to get new Pokémon. To use them, you need to be level four on the game. To level up, you have to catch lots of Pokémon. The site keeps adding new passwords, so you need to be checking the site. I give it an A. The gems are expensive, but aside for that, it’s a good game. I also like the new concept. It makes the experience less boring. 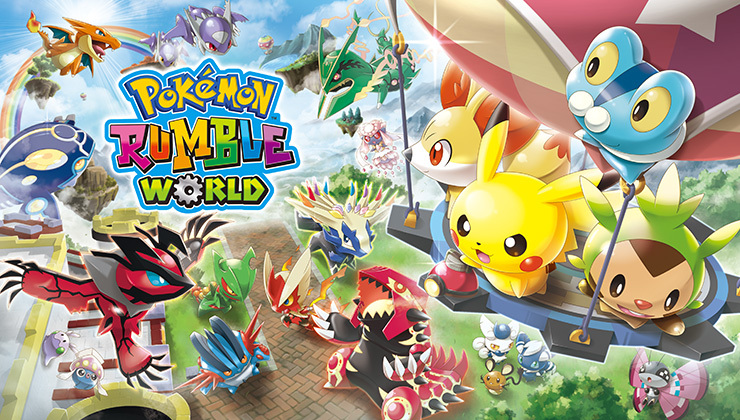 You can get this game for the Nintendo 3DS for free at the Nintendo e-shop. The gems too, but they’re not cheap.